It’s a bit of a paradox. Taking time out for a little self-care means removing yourself from your day-to-day activities, meaning you’ve got less time to get those all important tasks done. BUT… at the same time, self-care actually makes you more energetic, meaning you can get your jobs done more effectively. When you don’t give yourself time to do those things that make you feel well, both mentally and physically, (like getting a mani/pedi, taking time for a green tea, stopping and having a 5-minute meditation break), you’re wearing yourself out and heading straight towards burnout. 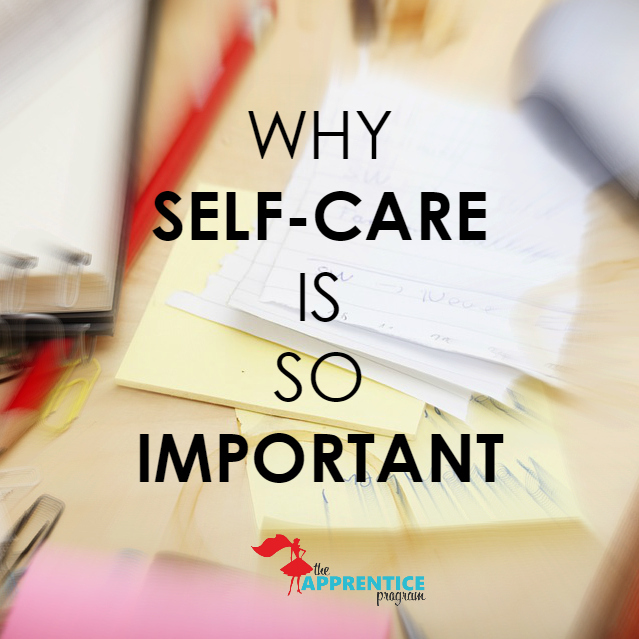 When self-care is put at the top of your priority list, you’ll find that you are more able to maintain positive relationships with your clients, staff/interns and vendors, as well as keeping on top of all your to-dos. Self-care is just that…taking care of yourself. Whether it’s read your favorite novel, do some painting or even just walk the dog, we found this Ted Talk is great at giving a few simple ideas on how to stay healthy and sane during the holidays. One way to cut down on stress is making sure you’ve got your intern training plan figured for the Spring semester…it’s time to signup for The Apprentice Program, currently just $75/intern!